Christmas comprises of the most enjoyable holidays of the year. 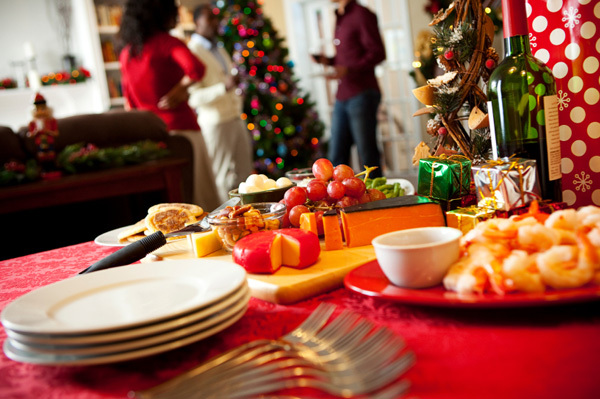 However, once you plan on throwing on a Christmas party, remaining within your budget can be tough. You will have to work on a lot of things just to stick to the budget without losing the colours, lights and taste of things you are offering in your party. Start off by looking into your pantry and refrigerator. In order to add a fragrance to your kitchen, cut down a few oranges as they will bring the right colours and taste to your Christmas. Moreover, the cookies aren’t only for eating as well. You can add to your Christmas party by using them as décor. Start putting them in different plates so that your guests appreciate the different colours of the treats which you have to offer. The oranges and cookies will provide flavour for the food you have to offer, plus they will fill up the corners of every plate you have to offer. In order to distinguish yourself as the best host in town, make something that will be cheap for you, but extremely meaningful for the guests who will be arriving soon. Go out and shop for inexpensive glass ball ornaments. They are easily available during the Christmas days. Pick up as many as you want and after adding a few colours to these glass balls, write the guest name on top of them so that the people know where they should be sitting. DIY or Do It Yourself is probably the best cost-cutting technique so far. Rather than catering, opt for a little workout yourself. If you want to hose a Christmas party on a tight budget, you’ll have to work a little. Cook simpler meals than the caterer you were planning to call. This is definitely going to help you in cutting down your cost. Moreover, several stores would cut down ham for free. Also, you can make a cheese and fruit tray for less than fifteen dollars as you will be slicing and dicing the fruits and cheese yourself. Christmas music is essential for such parties. It sets just the right mood for the party. Once the right music is on, the people won’t care how much you have not spent on decoration. Light up a lot of candles. Just like music, candles also create a festive mood and the people love them. Make sure you choose the right amount of candles to light up in your home.